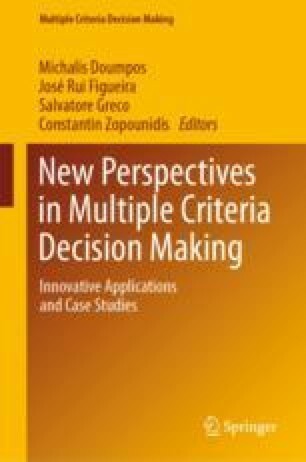 This chapter covers the combined use of Multi-Criteria Decision Analysis (MCDA) and Life-Cycle Assessment methodologies. It first reviews environmental Life-Cycle Assessment (LCA), introduces the main challenges and perspectives, including how to extend LCA towards Life Cycle Sustainability Assessment (LCSA), and discusses how LCAs might be useful for the MCDA practitioner. Then, it discusses how MCDA can complement LCA. Challenges and perspectives are presented concerning LCSA, relative versus absolute evaluation, criteria weighting, and criteria selection. This research was carried out in the framework of the Energy for Sustainability Initiative (EfS) of the University of Coimbra (UC), Portugal, and the MIT-Portugal Program, and was co-funded by FEDER and Fundação para a Ciência e Tecnologia (FCT) through projects SABIOS (PTDC/AAG-MAA/6234/2014), STREAMLAB (MIT-EXPL/SUS/0013/2017) and SET-LCA (CENTRO-01-0145-FEDER-030570). Dias, L. C., Passeira, C., Malça, J., & Freire, F. (2016). Integrating life-cycle assessment and multi-criteria decision analysis to compare alternative biodiesel chains. The Annals of Operations Research. https://doi.org/10.1007/s10479-016-2329-7. Dias, L. C., Silva, S., & Alcada-Almeida, L. (2015). Multi-criteria environmental performance assessment with an additive model. In Handbook on methods and applications in environmental studies. https://doi.org/10.4337/9781783474646. Lerche, N., Wilkens, I., Schmehl, M., et al. (2017). Using methods of multi-criteria decision making to provide decision support concerning local bioenergy projects. Socio-Economic Planning Sciences. https://doi.org/10.1016/j.seps.2017.08.002. Pizzol, M., Laurent, A., Sala, S., Weidema, B., Verones, F., & Koffler, C. (2017). Normalisation and weighting in life cycle assessment: quo vadis? International Journal of Life Cycle Assessment, 22(6), 853–866. https://doi.org/10.1007/s11367-016-1199-1.